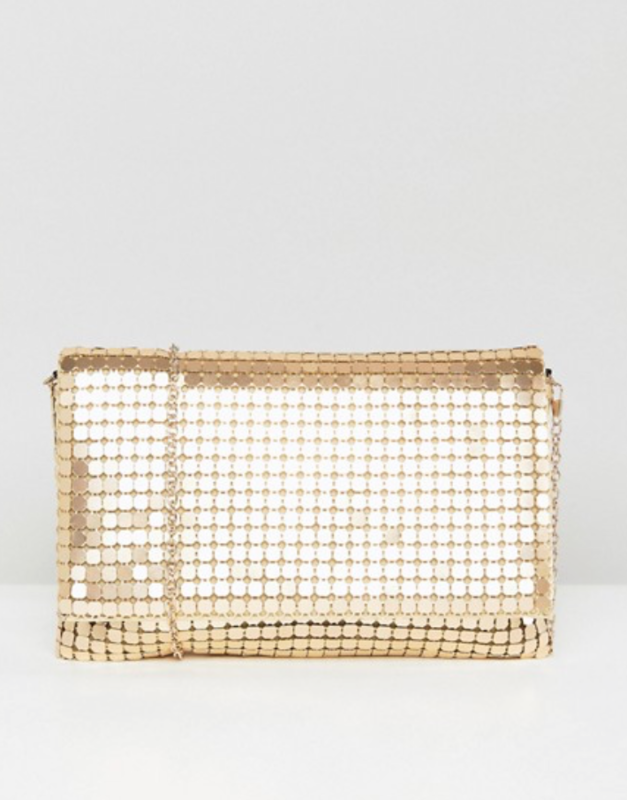 This week’s Friday favourite goes to the ASOS clutch bag I’ve snapped up to see me through party season – this gold chainmail number. With a few different outfits in my mind for upcoming parties and events, I needed a bag that would go with the majority of them, and this was sufficiently sparkly to add that necessary touch of festive glitz! I love that the gold chainmail is matte, and the bag is a decent size, fitting in all my night out essentials without being awkward to carry around. It also comes with a detachable chain, so you can wear it as a clutch or on the shoulder. A definite must-have for the Christmas period!